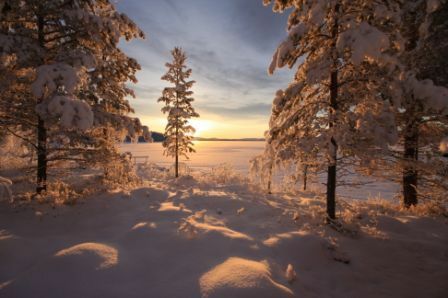 The idea of spending Christmas in Lapland, Santa’s homeland, is sure to raise excitement levels months in advance. A peek behind the scenes not only inspires little ones who can look forward to some quality time with Father Christmas and his little helpers. Steering away from peak season crowds into Lapland’s white wilderness is sure to leave family members of all ages in awe! 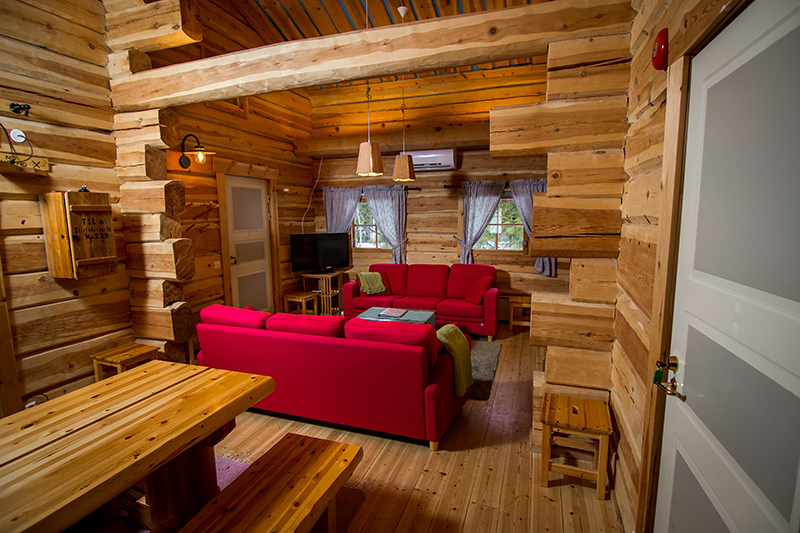 In our experience, Lapland’s cosy cabin culture strikes a perfect balance between festivity and simplicity. Young children delve into the Christmas story; adults and older children can shake things up and chase the Northern Lights, join a snowmobile expedition or hit the slopes in a nearby skiing resort. Alternatively, kicking back in front of a roaring fireplace isn’t a bad option either. 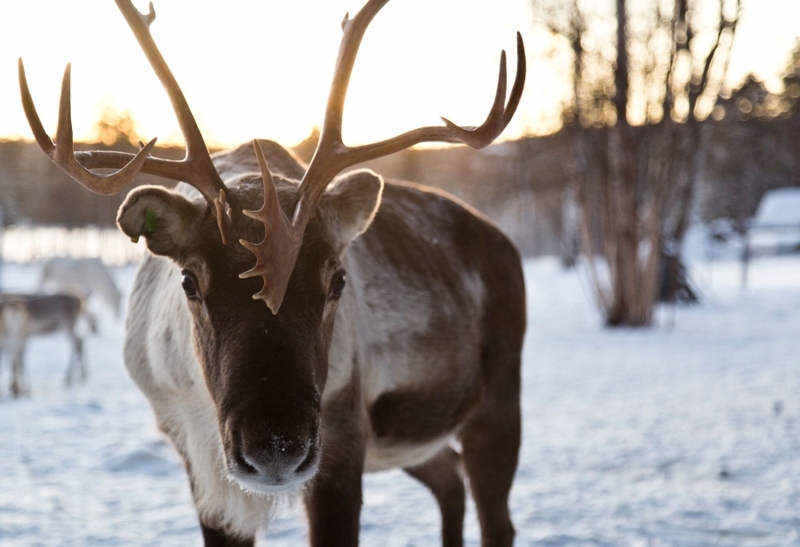 At Magnetic North Travel, the team has taken their own families to the wilds of Lapland. We know the pitfalls to avoid and can help recommend a range of Christmas holidays for the entire family to enjoy. Below we have selected our tried and tested Christmas trips. We highly recommend booking well in advance. 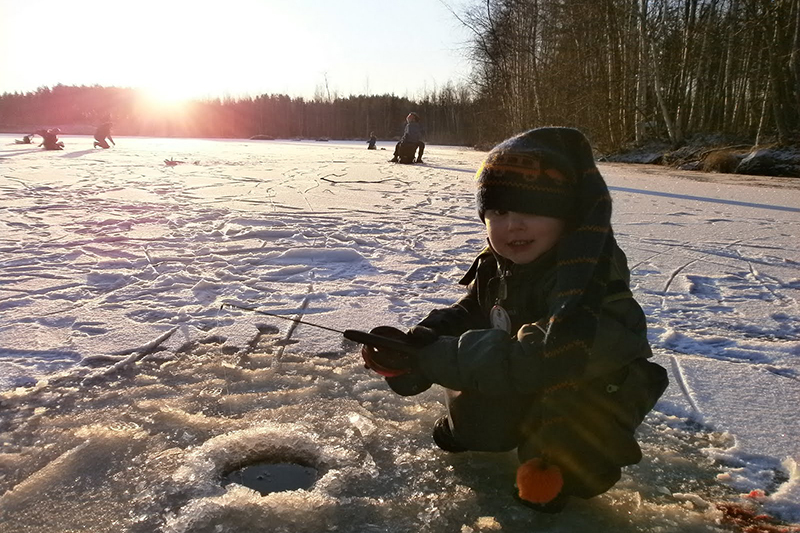 Spending Christmas in Lapland is a dream shared by many families. Flight prices rise quickly and availability becomes limited as the season ticks on. Give yourself and your family some peace of mind and avoid disappointment. 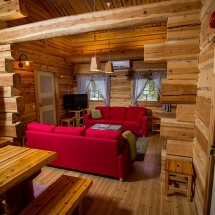 Celebrate a cosy log cabin Christmas at Vuokatti. 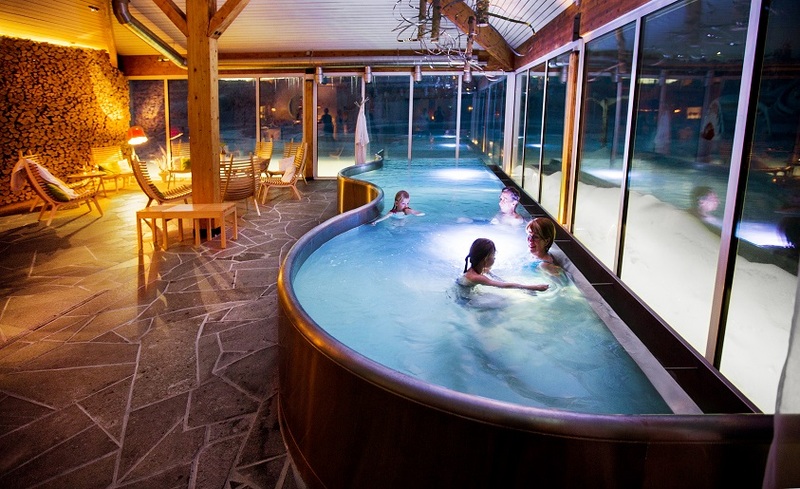 The resort, located at the easterly fringes of Lapland, swaps the commercial hustle and bustle for an intimate, local experience. Do as the locals do-shred some pow at the nearby skiing resort, kick-sled from A to B or snowshoe in the forest. On Christmas Eve you may fancy staying in to wait for a knock on the door from Father Christmas. Since the cabin is close to his own grotto Santa has enough time to sit in, listen to the children and share a story or two from his own memory box. 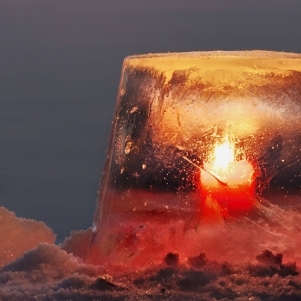 Hotel Kopikartano is located at the frozen shores of beautiful Lake Menesjarvi. Outside temperatures drop well below zero, inside warm Finnish hospitality awaits. Your host, Anne, has mastered the art of creating a cosy Finnish style Christmas that somehow feels homely. 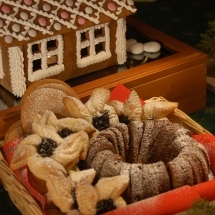 On Christmas Eve, she’s getting everyone involved to decorate the hotel’s Christmas tree, build masterful gingerbread houses and bake Christmas biscuits. Staying inside may be tempting but the frozen lake and snow-clad winter forest promise adventure. Your host will have a few tips up her sleeve when it comes to the fine art of tobogganing-riding a sled with a steering wheel. 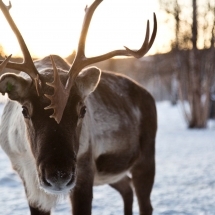 A visit to a herd of local reindeer recovering from their big ride around the world as well as a stopover at a husky farm is included in the programme. If you’d like to boost your chances of seeing the Northern Lights we recommend joining a guided tour. You can also join a snowmobile or a dog-sledding expedition if you fancy some family-friendly action. 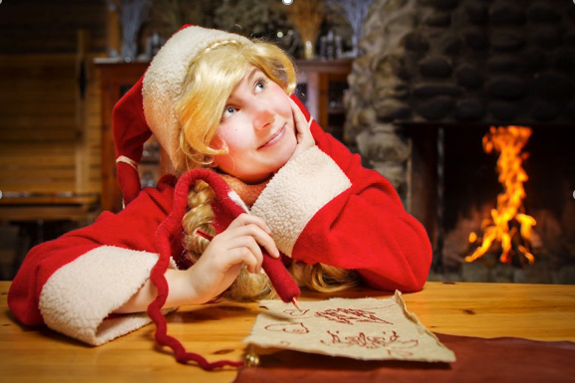 Families with young children looking for a truly magical Christmas adventure will find their perfect stay at Santa Claus Village. Our trip highlight? 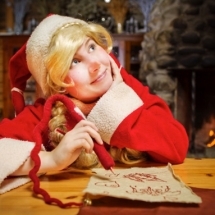 A 2-day Santa scavenger hunt led by an excitable elf. On day one, the hunt takes you to a nearby husky and reindeer farm. On day two, the search continues as the children venture into the snow-covered forest surrounding the Santa Capital Rovaniemi. Finally, they get to meet the man himself who will talk Christmas wishes and Christmas adventures from many moons ago. 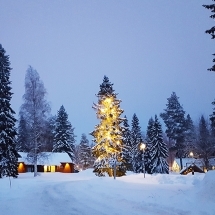 Christmas spirits are flying high on this personal storytelling adventure which takes you away from peak season crowds around the Rovaniemi. From £735 per adult and £595 per child (aged 4-14 years) excluding flights. 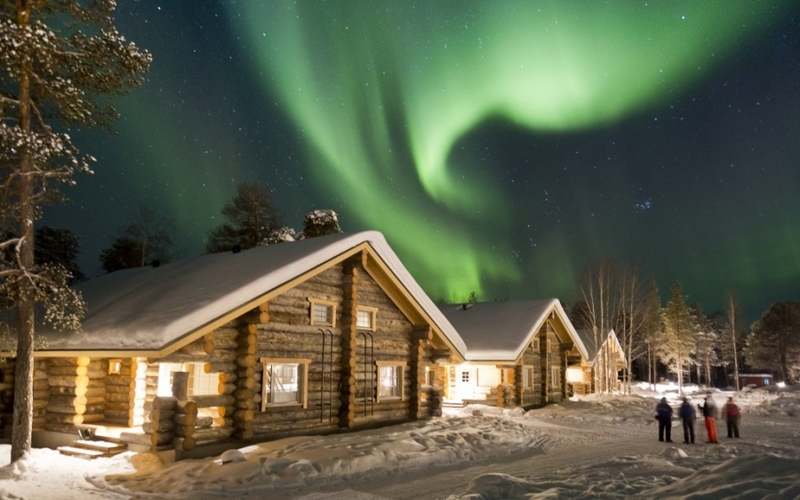 Family-run wilderness resort, Nellim, is located at the wild heart of Finnish Lapland. 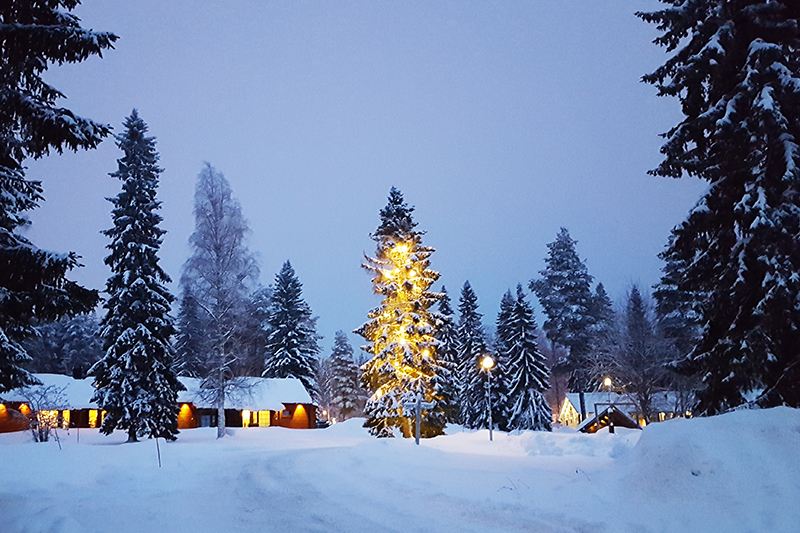 The traditional log suites and cabins invite guests to unwind for a white Christmas in Finland’s tranquil wilderness. 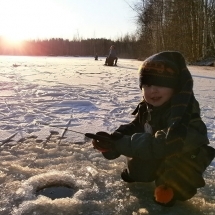 Nestled in between forest and lakefront, family members of all ages can join a wide range of classic, Finnish winter activities. Join experienced guides on a Northern Lights Hunt on the lake or a snowmobiling or dog-sledding expedition. After some outdoor excitement, you may treat yourself to an indulging dinner Christmas dinner with views of a herd of local reindeer. 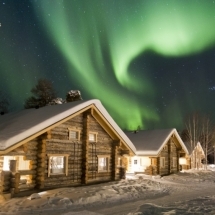 Just a short drive from Kiruna, Sweden’s northernmost town, families will find a cosy chalet-style hotel with superb food, and an abundance of winter activities at their fingertips. 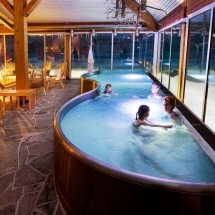 Those who fancy some deep relaxation can unwind in the premium Nordic spa facilities including a sauna, an indoor infinity pool as well and outdoor hot tub. If relaxation and family fun in the snow is high on the agenda Camp Ripan is our tried and tested hotel to visit. Our travel tip: Pay a visit to the nearby ICEHOTEL which won't fail to amaze both children and adults. The daytime museum and nighttime hotel made from ice and snow allows visitors to stroll through the ephemeral rooms. You won't be the first to compare the rooms with backdrops from Disney’s ‘Frozen’ film. 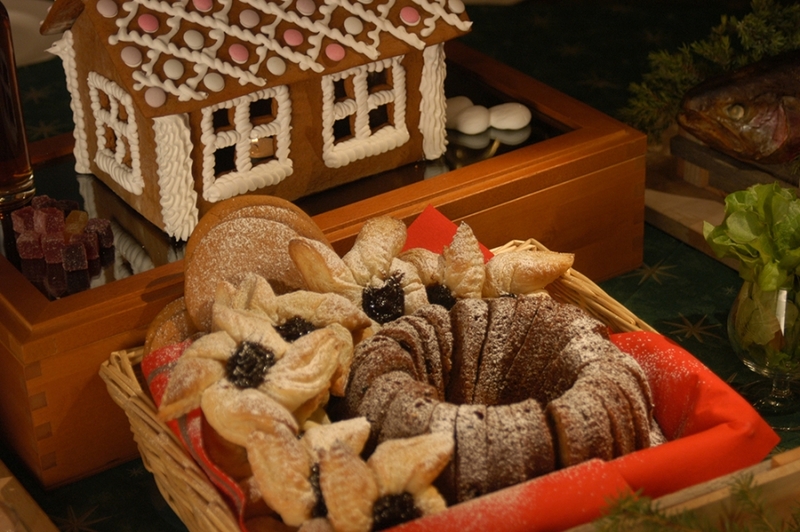 You don’t have to travel to the Arctic Circle to enjoy the delights of a Nordic Christmas. 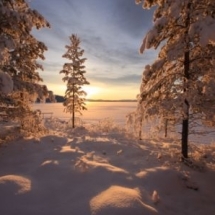 Around winter solstice a thick blanket of snow and ice covers the forests and waterways of Finnish Lakeland, turning Europe’s largest Lake District into an ice skating paradise. Explore the frozen scenery on guided ice skating day trips. Delve into a magical world of frozen waterways and Nordic spa culture just a short train ride from Helsinki. The hotel, Jarvisdyan, boasts with premium spa facilities, and local food which will warm you up after an exciting day spent outside. Finally, some feedback from clients who travelled with us in 2018. What else do our clients say about us?